In a unanimous decision two years ago, the Massachusetts Supreme Judicial Court struck down a state law that had criminalized the making of "any false statement" in a political campaign. Such a law was plainly incompatible with fundamental free speech rights under the US Constitution and the Massachusetts Declaration of Rights, and the SJC said so. The proper response to a political falsehood isn't to prosecute, but to counter the lie with the truth, the court held. In a democracy, it is up to voters to decide what is true and false in political rhetoric: "Citizenry, not government, should be the monitor of falseness in the political arena." That case was styled Commonwealth v. Melissa Lucas. Colleen Garry ought to read it. Garry, a Democrat, is a longtime state representative from Dracut who has come up with a brainstorm: She wants the Legislature to pass a law punishing anyone who spreads "any false information" in a political ad. How's that for original thinking? The bill Garry has introduced, H. 365, is as unenforceable as it is unconstitutional: "No political advertisement may contain any false information," it decrees. "If a candidate or PAC is proven to have falsified or wrongly stated an opponent's stand, vote, and/or background, the candidate or PAC shall forfeit all funds in their . . . accounts to the Commonwealth of Massachusetts General Fund." The chief difference between Garry's measure and the statute spiked by the Supreme Judicial Court is that hers is far more sloppily drafted. When the bill was taken up Wednesday by the Legislature's Joint Committee on Election Laws, no one testified in its favor. Garry herself didn't bother to show up. "This is not violating free speech!" Garry fumed in one post. "You can say whatever you want BUT if you LIE about your opponent, you have to pay for it!! The public deserves a clean, honest exchange of information!! . . . Mass Fiscal Alliance makes a business out of lying to further their political agenda!!" Seven exclamation points. Hell hath no fury like a career politician scorned. But punctuation is no substitute for reasoned argument, and that Garry lacks. A "truth in advertising" standard for political campaigns may sound appealing, but any attempt to impose such a rule would immediately degenerate into censorship and retaliation. Free political discourse would evaporate overnight, as challengers, gadflies, and dissenters found themselves facing excruciating legal proceedings and the threat — the explicit threat, in the case of Garry's bill — of being wiped out financially. Truth is important. 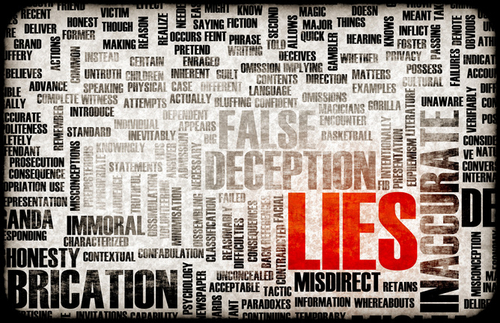 Politicians or interest groups that play fast and loose with the facts should be denounced. As a matter of decency and morality, no one has a right to lie invidiously about others. The Ninth Commandment's injunction — "Thou shalt not bear false witness against thy neighbor" — is as indispensable to a just society today as it ever was. When it comes to politics, however, enforcing that injunction is no job for government regulators or courts of law. Free speech is not absolute: Perjury, libel, and fraud are illegal and criminal convictions can be severely punished. But in the back-and-forth of political competition, where truth lies is for the people to decide. 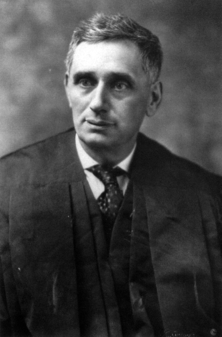 Freedom of speech, Justice Louis Brandeis wrote in the 1927 case of Whitney v. California, "is indispensable to the discovery and spread of political truth." America's commitment to free speech is often portrayed as a commitment to the marketplace of ideas — to the belief, as Supreme Court Justice Oliver Wendell Holmes famously said, that "the best test of truth is the power of the thought to get itself accepted in the competition of the market." But as Justice Louis Brandeis argued, free speech is more than an abstract good: It is essential to democratic society itself. "Those who won our independence," wrote Brandeis in one of his greatest opinions, "believed that . . . freedom to think as you will and to speak as you think are means indispensable to the discovery and spread of political truth; that, without free speech and assembly, discussion would be futile; that, with them, discussion affords ordinarily adequate protection against the dissemination of noxious doctrine; that the greatest menace to freedom is an inert people; that public discussion is a political duty, and that this should be a fundamental principle of the American government. . . . Believing in the power of reason as applied through public discussion, they eschewed silence coerced by law — the argument of force in its worst form." If Garry doesn't like what other say about her, the remedy is to answer her critics. It is not to intimidate them with threats of prosecution, or to introduce bills that would crush free speech.